Vladimir Pyatykop, M.D., Ph.D., Doctor of Medicine, Professor. In charge of academic work – Assoc. prof. Kutovoy I., M.D., Ph.D.; research work - Professor Pyatykop V., M.D., Ph.D.; clinical work – Assoc. prof. Chmut V., M.D., Ph.D.; educational work with students – Assist. 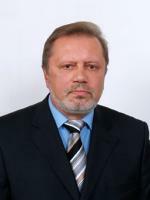 prof. Tsygankov O., M.D., Ph.D.; Assist. 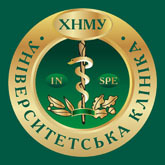 prof - Sergienko J., M.D., Masalitin I., M.D. Clinical residents: Muhammad Al Travneh, Ravazhba Fahed; Postgraduate student Mohammad Msallam, Senior lab. 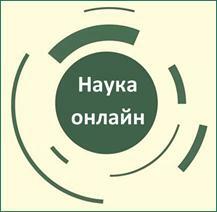 assistants - Panasiuk S., Naboychenko A., M.D. ; lab. assistants - Anischenko I., Chernova L.
Educational and pedagogical work is carried out on base of neurosurgery department of Kharkov Regional Clinical Hospital. 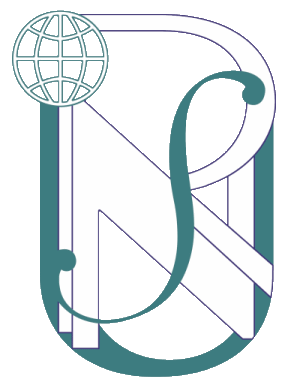 5th year English-speaking students specializing in "General medicine" are trained in "Neurosurgery". Students of the 4th year of dental faculty are trained in "Neurodentistry" and "Neurosurgery". Medical residents and interns in "Neurosurgery". The department has a computer class and developed curriculum and program of knowledge control for the course of Neurosurgery. There are 67 training videos with classic and original surgeries, 5 textbooks, more than 20 teaching materials of neurosurgery for students and medical interns have been produced. Computer training for students is regularly carried out in the methodological study-room. The conditions and database for self-study are also created. The textbook in “Neurosurgery” has been issued. Cryosurgical treatment of patients with brain tumors using the original cryogenic equipment, surgical treatment of patients with traumatic brain injury by ortotopic cranioplasty using ceramic materials, reconstructive and regenerative surgery for traumatic spinal cord injury, stereotactic neurosurgical treatment of parkinsonism and extrapyramidal hyperkinesis by means of cryodestruction and long-term electrical stimulation of subcortical structures; autotransplantation of stromal cells of the bone marrow in the treatment of extrapyramidal disorders, consequences of severe traumatic brain and spinal injuries and cerebral stroke; neurosurgical treatment of cerebrovascular diseases (cerebral aneurysm and arteriovenous malformation) using endovascular operations and open intracranial interventions, etc. In recent years, 39 neurosurgeons, 5 clinical residents, 2 masters, 1 Doctor of Medicine, 7 PhDs were trained; 6 Ph.D. dissertations were performed. Significant scientific achievements were summarized in 5 books, 26 copyright certificates and Patents for inventions, 240 scientific publications, including 30 published in foreign magazines and materials of European and international congresses. Clinical department is an interregional specialized neurosurgical center. It parses the clinical discussions and detours, advanced consultations for severe patients, counseling patients in polyclinics, clinical and pathological-anatomical conferences. Doctors from the Department also consult in Kharkov territorial centre of emergency medical care and catastrophe medicine. They perform complex surgeries in the central district hospitals of Kharkov region during emergency exits. Also participates in the organization of "neurosurgeon Day" which is held monthly on the base of Regional Hospital’s Neurosurgical Clinic. The department has developed new methods of neurosurgical treatment, which have no analogues in the world of clinical neurosurgery: neurotransplantation for spinal injury; cryosurgical treatment of trigeminal neuralgia; orthotopic cranioplasty using ceramic and metallic materials; neurosurgical stereotactic treatment of extrapyramidal hyperkinesis, neurosurgical treatment of patients with tumors of the posterior cranial fossa and secondary brainstem disorders, neurosurgical treatment of patients with cerebrovascular pathology, differentiated neurosurgical treatment of lumbar radiculomyelopathies caused by sequestrated intervertebral discs herniations; surgery due to Parkinson's disease using stromal stem cells.